“This is not what I wanted to see happen, because my heart is in it to serve Alaska, but this is something I must take care of now, not later,” he said in the announcement. Dunleavy was the leading Republican candidate for governor because there were no other high-profile entrants into the race. 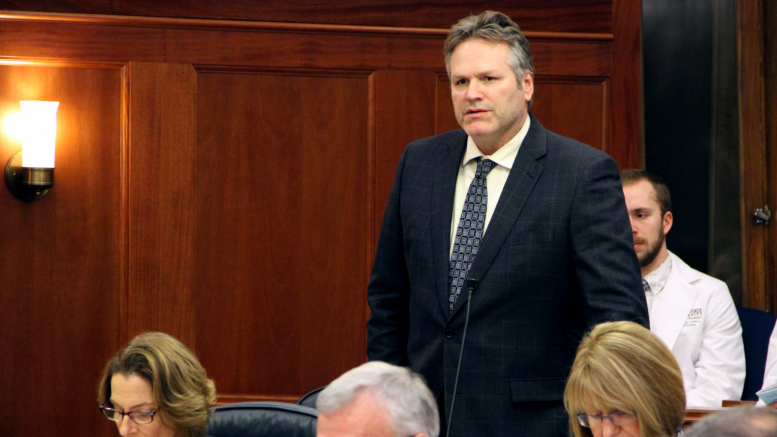 Word has been mixed on Dunleavy’s candidacy for governor with some confident in his chances while others, including some Republican legislators, doubting his ability to lead the executive branch of Alaska. Other rumored candidates include former House Speaker Mike Chenault, former Senate President Charlie Huggins and a handful of businessmen. Former Senate President Charlie Huggins today joined the race for governor by filing a letter of intent with the Alaska Public Offices Commission. His wife, Becky, made the announcement this morning on the Rick Rydell show. The Alaska Dispatch News’ Nat Herz caught the recording. Be the first to comment on "Dunleavy suspends campaign for governor, but Huggins is in"